2. We make deliveries for a minimum purchase order of $20. We have a slightly restricted delivery schedule so we will deliver when we can within that schedule. You are welcome to pick up your order as early as 7am. 3. We ask for standing orders so that our production staff knows what to make on a daily basis. 4. New orders or changes to standing orders must be made by 12pm two days prior. We will do the best we can to supplement your order. 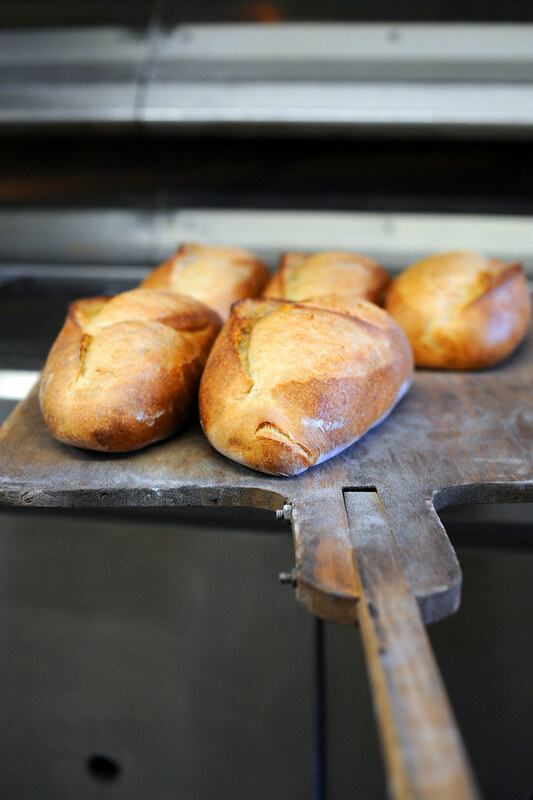 Our breads require a long fermentation process, so the more notice we have for additions and cancellations the more likely we will be able to accommodate you. 5. New accounts are COD for the first month and then we can include you in our billing cycle. Statements are mailed the 1st of the month and payment MUST be received by the 15th. Failure to make prompt payment will result in your account returning to COD status. Thanks for supporting our business and buying locally.